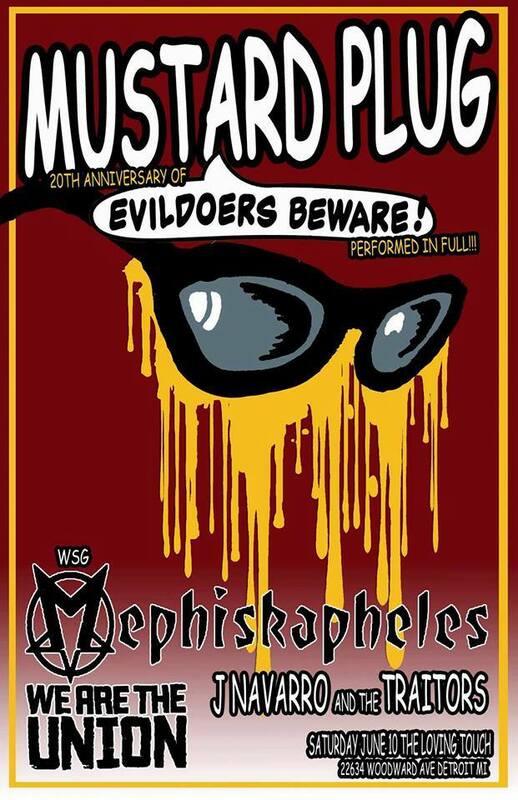 Hip In Detroit: Win Tickets to Mustard Plug's "Evildoers Beware" Release Show! 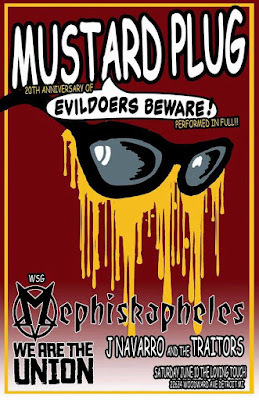 Win Tickets to Mustard Plug's "Evildoers Beware" Release Show! It's hard to believe that bands we grew up listening to already have albums out that are 20 years old. I don't know about you, but most days I still feel like I'm just 20 years old. This year another awesome album is turning 20, Mustard Plug's Evildoers Beware. In fact, this is also the 25th anniversary for the band as a whole! To celebrate this monumental anniversary, the band will be performing Evildoers Beware in full at The Loving Touch. The party is happening on Saturday, June 10th and Mustard Plug has a great lineup of bands joining them! It includes Mephiskapheles, J. Navarro & The Traitors and We Are The Union. Tickets for this show are only $14 in advance here or $16 the night of the show. Thanks to Black Iris Booking we are also giving away a pair of tickets to this show! If you would like to enter to win those tickets, send your name over to hipindetroit@gmail.com with #evildoers in the subject line. We will draw one lucky winner the morning of the show and will send them details on how to claim their prize. Doors for this one are set to open at 8 p.m. and the bands will kick things off at 8:30. So make sure you show up early and stay late!